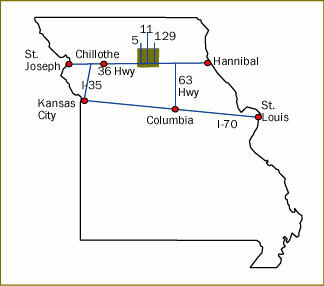 Fountain Grove Missouri MAHA waterfowl hunting is near the town of Meadville within Linn County Missouri highlighted on the map. 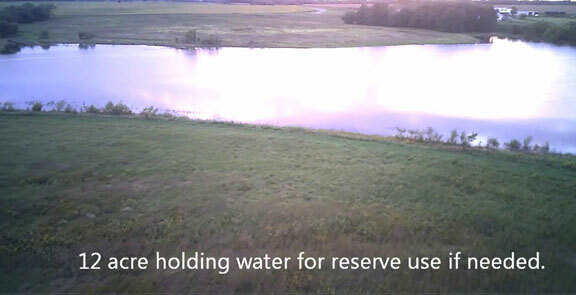 The Fountain Grove reference is for the nearby Missouri State developed and operated Fountain Grove Wildlife Area that is inclusive of a large public waterfowl hunting wetlands. 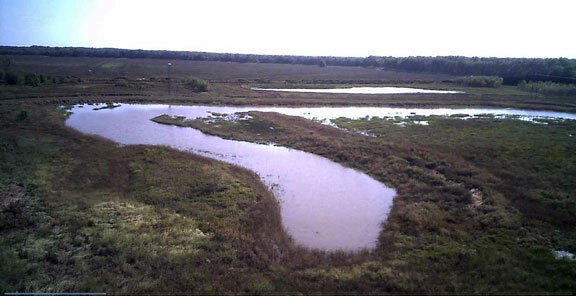 Bird’s eye line drawing of the wetland. The next series of pictures are snaphots from the two videos with links posted at the top of the page. 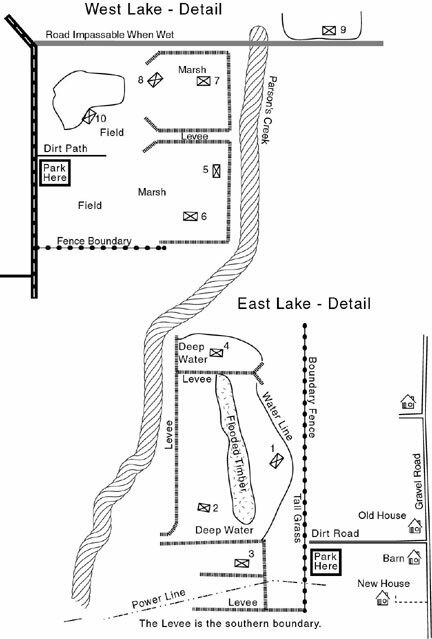 We have a 12 acre holding lake with a drop log pipe structure that enables us to drain as little or as much water as we desire if needed. Facing east the blind 1 shooting pool. The canal in the middle is deep but the rest is chest wadeable. Facing south east the #1 and #2 shooting pool. 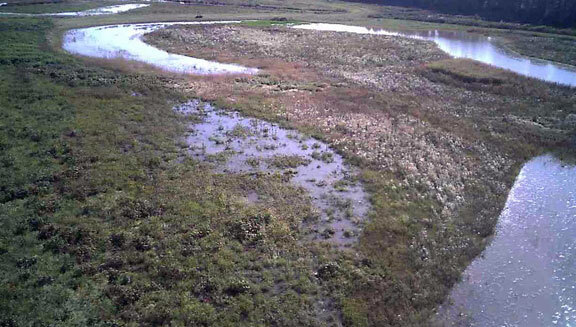 The marsh is 200 plus yards wide on the south side, but spreads out 300 plus yards to the north. Facing south the Wade-in 3 shooting pool with 10 in the background. The distance from front to back of 3 and 10 is a 1/4 mile. Facing southwest Wade-in #4 shooting pool. This is the furthest north pool on the 3/4 mile long marsh. Facing west the wade-in #5 shooting pool. 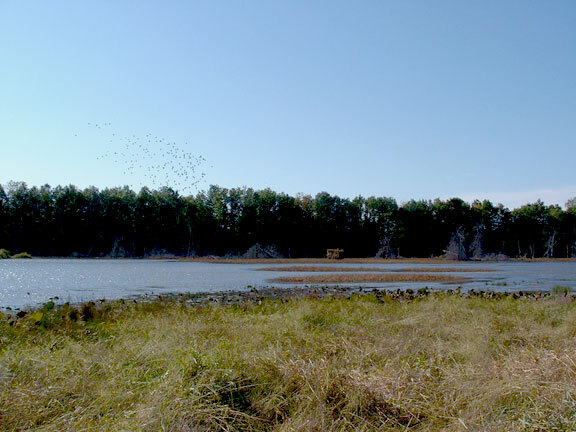 The marsh is close to 1/4 mile in width and 3/4 mile in length. Facing northeast the #6 blind shooting pool. Facing southeast the #7 Wade-in dhooting pool. 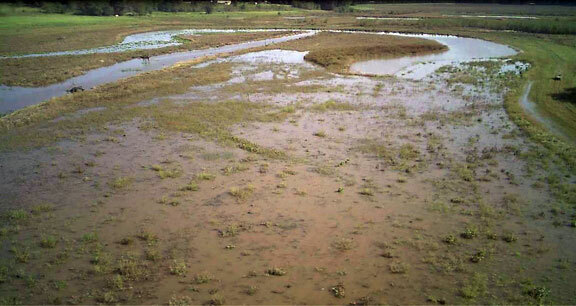 This marsh can also be drained, planted and filled with water from the holding lake. 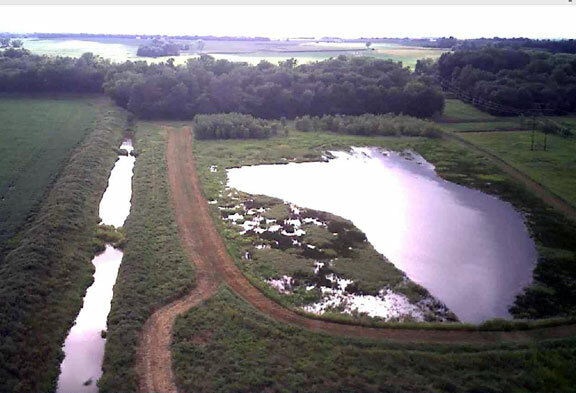 Wade-in 10 area On a 3/4 mile long wetland this is our furthest south shooting pool. Facing south from the north side of the east marsh. Facing northeast Wade-in #8 shooting pool. 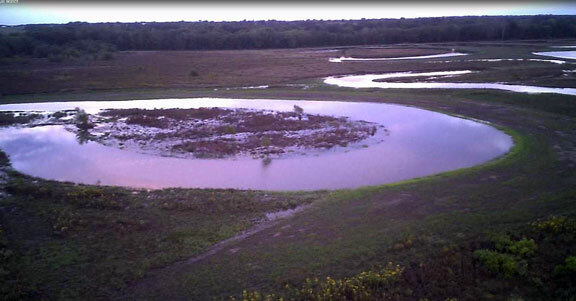 This is the furthest north pool on a 3/4mile long wetland. 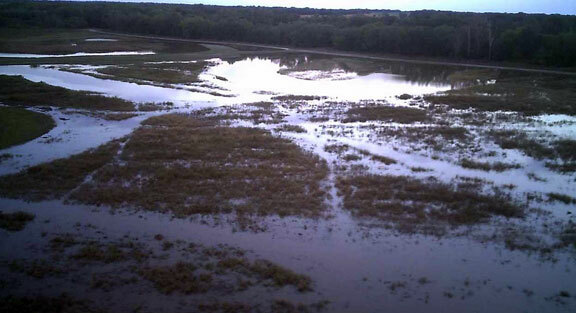 This marsh can be drained and each year, planted and filled with water from the 12 acre holding lake.